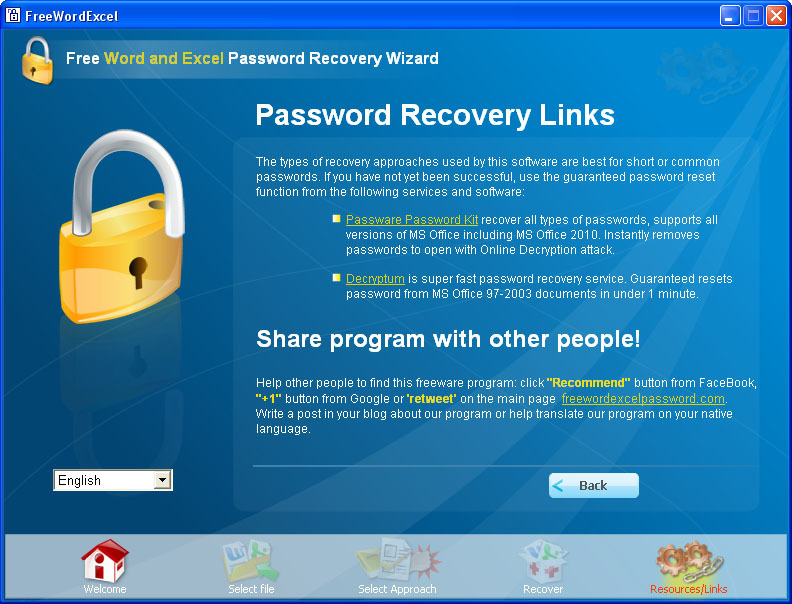 The Best Free password ckacker. 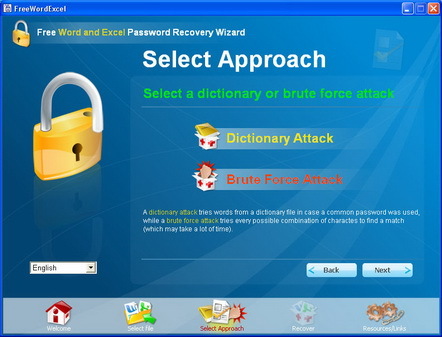 At first, trying a "dictionary attack"
If unsuccessful, trying a "brute force attack"
Not all passwords can be recovered in a reasonable time using these approaches. 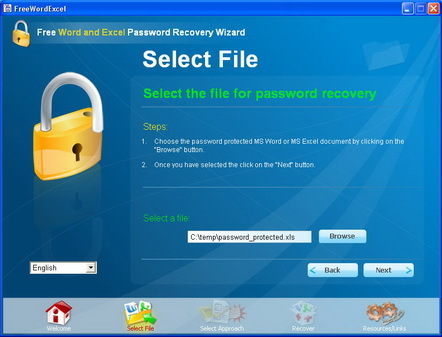 If you have difficulties, use the guaranteed password reset function from commercial software. Please, refer to our Resoures/Links page. Choose the password protected MS Word or MS Excel document by clicking on the "Browse" button. Brute force attack tries every possible combination of charactes to find a match (which may take a lot of time). At first, trying a "Dictionary attack". First, try the default wordlist that comes with the program. 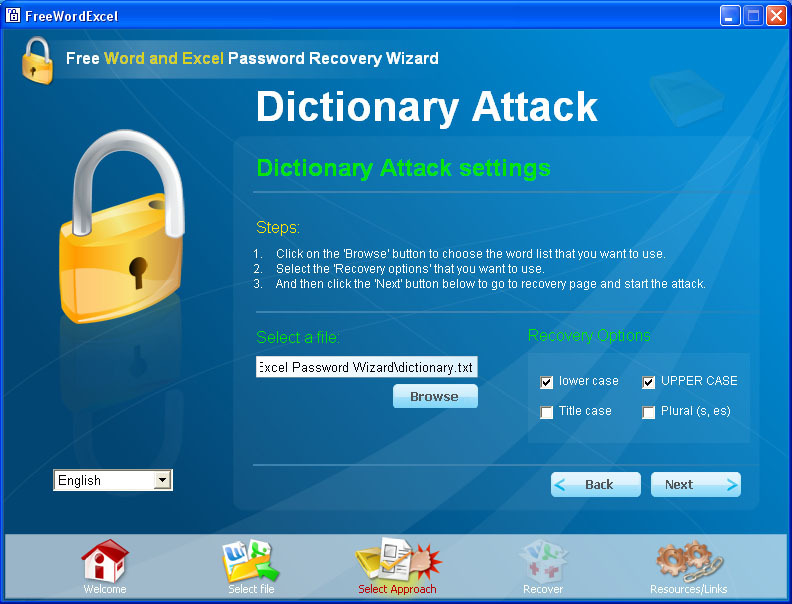 If it fails to pick a password, try downloading other wordlists from the Internet. 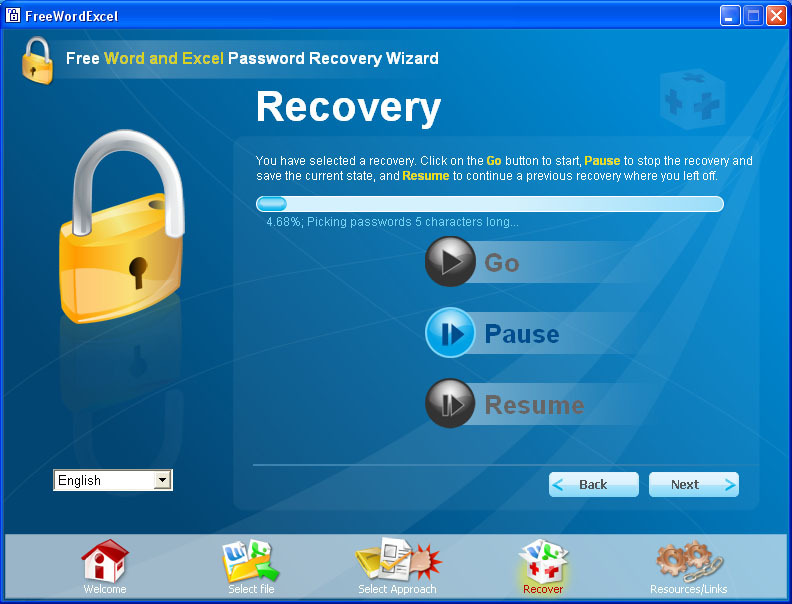 If you remember nothing about the password, select all available "Recovery options". Click “Next” to go to the “Recovery” page and start the attack. If you know nothing about the password, start with shorter character sets. Set the length of the password to 1-5 characters and gradually increase it along the way. If the attack did not succeed, go back to this step and change the character set or password length. Start the attack again. You have selected a recovery. Click on the Go button to start, Pause to stop the recovery and save the current state, and Resume to continue a previous recovery where you left off. 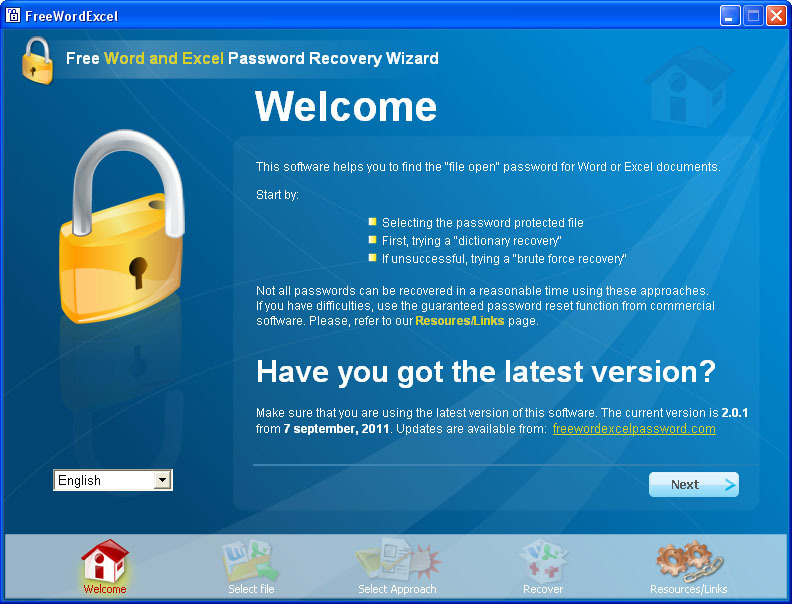 Password-Find is an online service for removal and recovery of passwords from MS Word, MS Excel and MS PowerPoint documents. Instant (!!!) and Guaranteed (!!!) removal of protection from documents saved in the old MS Office 97-2003 formats. Highly efficient for documents saved in the new Office 2007-2019 formats. Simple, fast and affordable ! Share program with other people! Help other people to find this freeware program: click the "Like" button from FaceBook, the "+1" button from Google or 'retweet' on the our site main page. Write a post in your blog about our program or help translate our program to your native language. Copyright © 2003-2019 Free Password Recovery Software - All rights reserved.